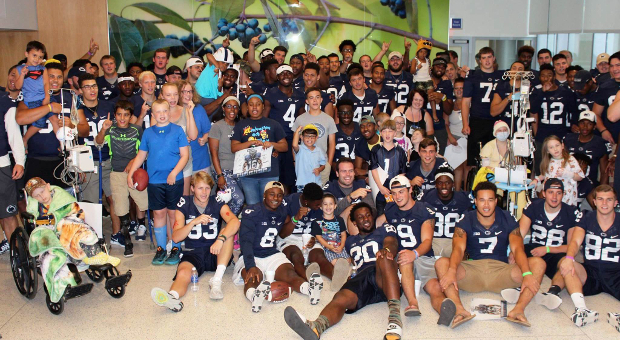 Several players, coaches and staff interacted with children and their families yesterday in the hospital&apos;s Treehouse Café. They included Four Diamonds and Children&apos;s Miracle Network families. Meantime, other groups fanned out throughout the hospital, visiting patient rooms. Franklin said he wants his players to understand the value and importance of giving back. 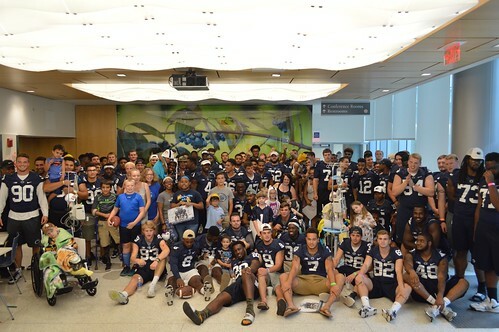 This marked the third consecutive year in which the team has made a mid-July trip to the Children&apos;s Hospital.